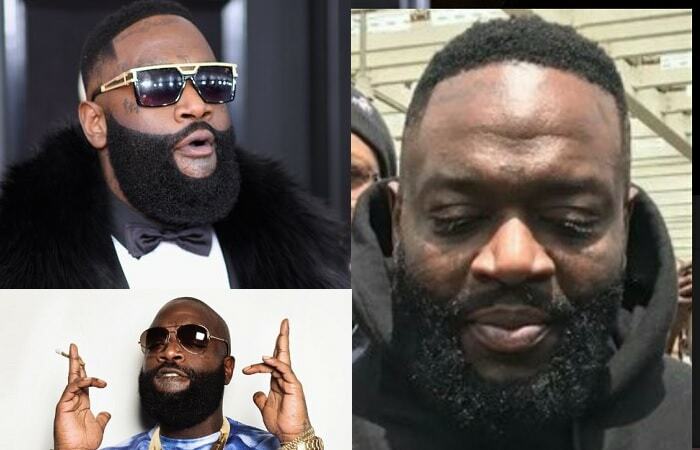 American rapper, William Leonard Roberts II aka Rick Ross and now going by his new given name, Tajiri, which means rich or wealthy was yesterday performing at Carnivore Gardens in the Langata suburb of Nairobi, Kenya. 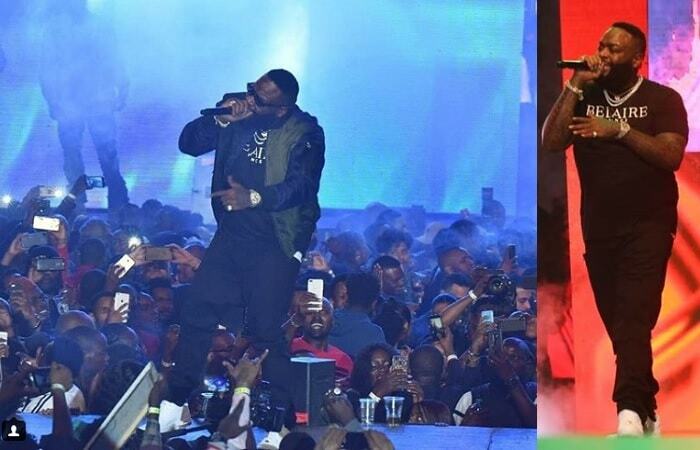 It was the first time he was performing in East Africa not forgetting that he recently did a collab dubbed 'Waka Waka' with Tanzania's Bongo Flava star, Diamond Platnumz. What shocked Kenyans were his looks of three days back to that of when he touched down at Jomo Kenyatta International airport, dude looked so different that some demanded for answers for the change in looks, in fact, some thought they had been duped, but his multiple tattoos saved the day. 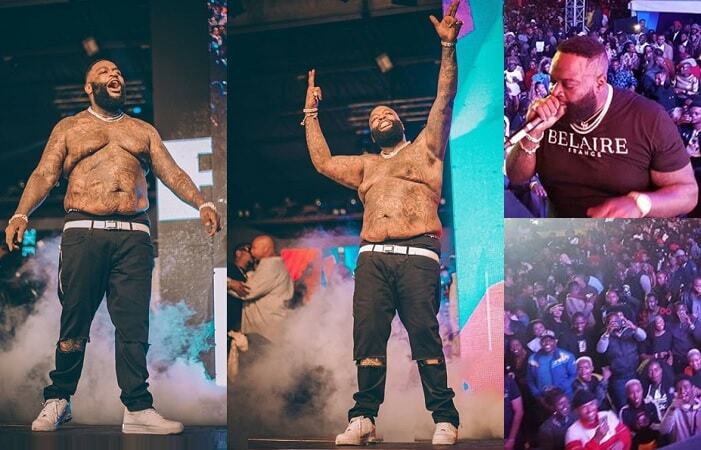 In the pics, the one on arrival in Kenya looks like he had not yet applied his Rick RO$$ Luxury Beard Oil..
His looks aside, the much anticipated show lived up to its billing, here are some of the videos and photos of Rick Ross in Nairobi.